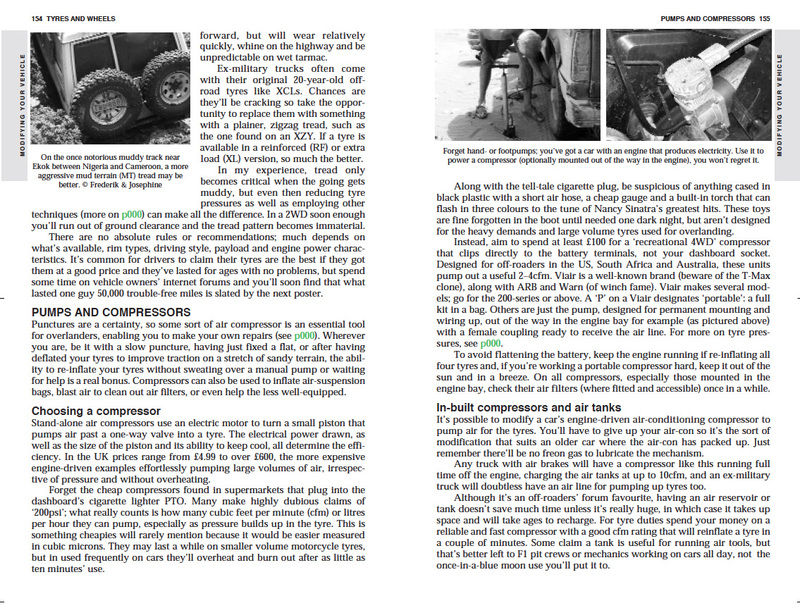 Below are two near identical images depicting 17 items of ‘Desert Equipment’ taken from Gestalen’s Off The Road, coffee table overland travel book (right). Using your skill and judgement, compare the two images and find up to 14 differences in the graphics in the lower image. The text along the bottom is not part of the test, nor in the warping/distortion in the lower image. There are 14 modifications to the graphics (sand plates, passport, cooler, etc). Find as many as you can and email them in at the bottom of the page. 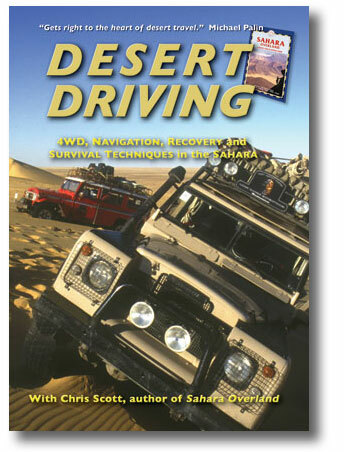 Winner announced Friday December 15 receives a copy of my new Overlanders Handbook 2 (left), the new Morocco Overland 3, my Desert Driving dvd (right) plus a KitKat. 2nd place gets OLH2 OR Morocco Overland 3 + KitKat. 3rd place – it’s onlya KitKat for you (right). All 3 winners get a free Viair digital tyre gauge (left) supplied by our friends at Viair UK. As mentioned on p154-5 of OLH2 (left) and probably in Morocco 3 too, a powerful air compressor is an essential bit of equipment for overlanding and desert travels in particular. 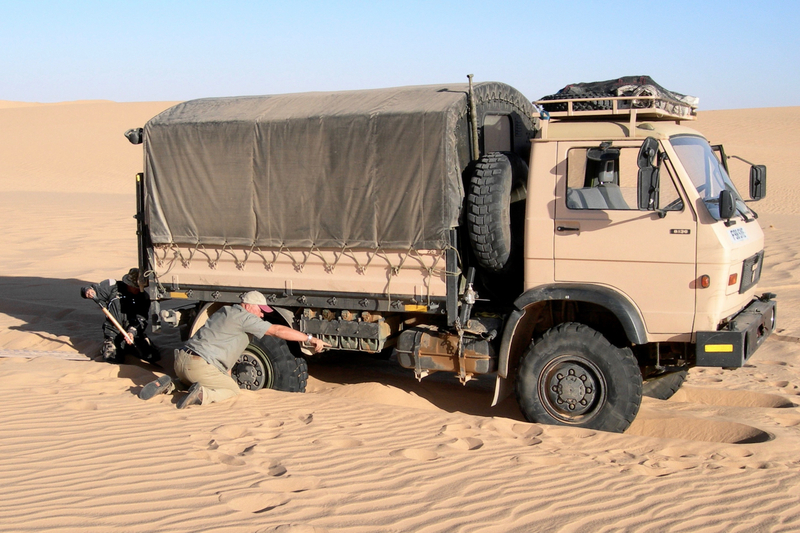 It allows you to air-down for soft sand or dunes without hesitation, knowing you can effortlessly reinflate all four tyres when in the clear. Besides avoiding all the stresses of getting stuck, doing so extends tyre life and avoids punctures.